I had a staring contest at Target last weekend. I think I won, but time will tell. 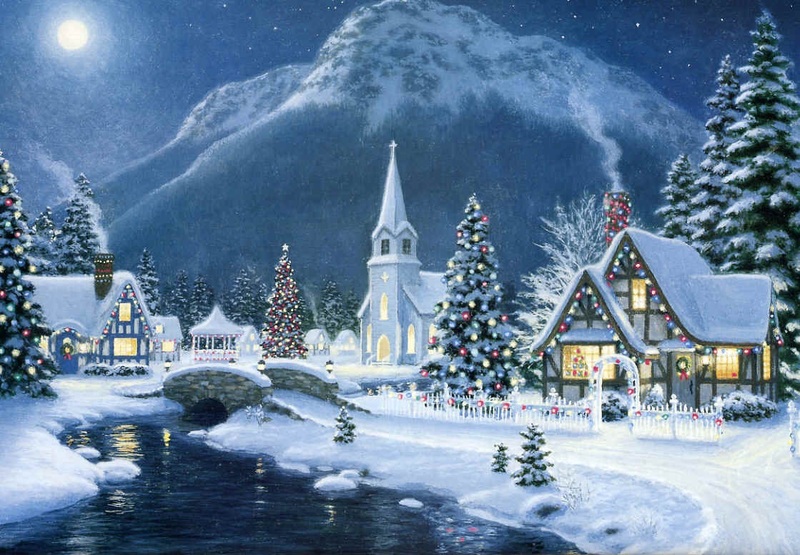 Oh, it wasn’t a contest with another person; it was just me versus a box of beautiful Christmas cards, the kind that look like a Thomas Kinkade painting of the perfect Christmas in the perfect neighborhood in some person’s perfect life. Shoppers on a mission rushed around me as I stood fixed in the aisle. I was a boulder in a stream of holiday madness, breaking up the flow and disrupting business, but I simply could not move. I was mesmerized. I picked up the box and turned it over and over in my hands, eventually putting it back on the shelf, walking away empty-handed. And that, I believe, was the moment of victory, but I won’t know if I’ve really won until I stop mulling over the Christmas card dilemma and put it to bed for good. I had decided weeks ago that I’d forego sending out Christmas cards this year. But here, caught up in the moment, a million thoughts, justifications, and pieces of advice were flashing through my mind. But I ALWAYS send cards. If it’s not what you want to do, don’t do it. I WANT to, I don’t think I CAN. People will understand. Give yourself a break. For me, the tradition of sending Christmas cards is one I cling to and (dare I say) dread, at the same time. Surely I’m not alone! I love showing off how the boys are growing up and how doggone handsome they’ve gotten, but I stress out over selecting the perfect pictures to send with the cards. I enjoy reaching out to people the old fashioned way and letting them know they are special to us, but who can say they like addressing all those darned envelopes? The topic just came up last evening at dinner with girlfriends and it’s clear that we all have our Christmas card issues! The one time I missed sending cards in recent history was when Mom was newly diagnosed with cancer and our world was topsy-turvy. People who didn’t know our situation asked if they had “fallen off my Christmas Card List.” That even further encouraged me to get back on track with the tradition. And I did. This year is different, though. Mom’s gone and it’s our first holiday season without her. Some days I feel pretty good. But each day, my heart hurts. Anything not on my “deeper burning yes” list feels forced and scheduled, like an obligation. Exhausting. But I like to think, while I might be doing less, it’s okay because the things I choose to do are done with intent, meaning, and love. Hopefully those things have, in a different way, shown my loved ones how much I care about them. Because now, more than ever, I sure do care about each of my family members and friends. Okay, I’m going to call it. The Scott family is officially on a one-year Christmas card hiatus. There. I think I just won that staring contest.